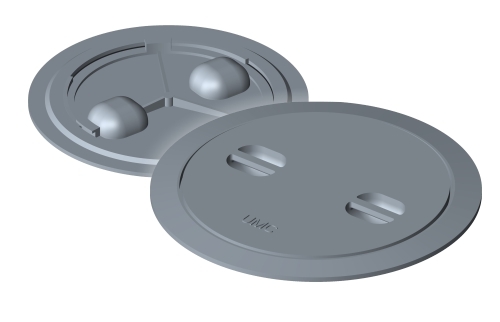 UMC’s Twist Lock Hatch is a simple proven design for hatch enclosures. The twist engagement method for securing this hatch makes the Twist Lock hatch the simplest to operate. This hatch is made from high strength 3/8” cast steel with reinforced ribs. Built-in lift-out handles are molded into the cover plate for convenience. The hatch is available in one size, 18” and can be ordered flush or raised with a 5” coaming.